Over the spring of 2017 marra.tein hosted staff of and artists participating in Meeting Points 8: Both Sides of the Curtain, providing invaluable research and production support to the the Beirut chapter of the project, which culminated in an exhibition and series of events at the Beirut Art Center 12 April – 4 June 2017. In 2017, Zin Taylor (artists, b. Canada 1978, lives in Paris) was a resident at marra.tein, where he conducted research towards new work and presented his performance An Index for the Flute of Sub (2017) as a part of Meeting Points 8. Also in 2017 marra.tein hosted Nile Sunset Annex (f. Egypt 2012, Taha Belal and Jenifer Evans, based in Cairo) as they conducted research and production related to their Meeting Points 8 project Dreams, Duplicates and Display Paraphernalia, collected art and six new publications by Hady Aboukamar, Doa Aly, Andeel, Amy Arif, Shehab Awad, Chris Beauregard, Taha Belal, Olivier Castel, Marc-Alexandre Dumoulin and Marianne Vlaschits, Faten El Disouky, Walid ElSawi, Jenifer Evans, Fadlabi, Ericka Florez, Malak Helmy, Mahmoud Khaled, Kareem Lotfy, Ahmed Nosseir, Mohanad Nur, Paul Simon Richards, Samira Ahmed Salim, Sarah Samy, Ahmed Shawky, Marnie Slater, Take to the Sea, Wadie Shenouda, amongst others. Meeting Points is an international multidisciplinary contemporary arts event that takes the Arab World as a starting point to pose questions of broad relevance of and to art. Meeting Points tries to imagine and interrogate models for the production and presentation of contemporary arts, developed through research in the Arab World. Meeting Points 8: Both Sides of the Curtain began in Cairo in May 2016, then moved on to Brussels in December 2016, and Beirut in 2017, and was realized with different curatorial contributions along the way. Participants in the exhibition, film and public programs at Beirut Art Center included Andeel, Basma Alsharif, Fatma Bucak, The Dwarfs of East Agouza, Dora Garcia, Jos de Gruyter & Harald Thys, Tamar Guimarães, Jean-Pascal Flavien, Josephine Foster with Victor Herrero, Judith Hopf, Hannah Catherine Jones, Gülsün Karamustafa, Joachim Koester, Basim Magdy, Joe Namy, Nile Sunset Annex, Frédéric Moser & Philippe Schwinger, Marnie Slater, Zin Taylor, among others. Mophradat is an international nonprofit arts association based in Brussels that creates opportunities for thinking, producing, and sharing among contemporary artists from the Arab World and their peers everywhere. For more details please go to www.mophradat.org. Over the month of July 2016, marra.tein turned into the editorial office for the publication series “Elements for a World: Stone, Wood, Sky, Water, Fire”, edited by Ashkan Sepahvand and commissioned by curators Nora Razian and Natasa Petresin-Bachelez for their exhibition “Let’s Talk About The Weather” at the Sursock Museum. Addressing for the first time in the Middle East region the concept of the “Anthropocene” in relation to contemporary artistic practice, the exhibition project showed works of art that engage with ecology and climate change in critical and creative ways - including projects from local, Beirut-based artists such as Marwan Rechmaoui, Joanna Hadji-Thomas and Khalil Joreige, and Jessika Khazrik. 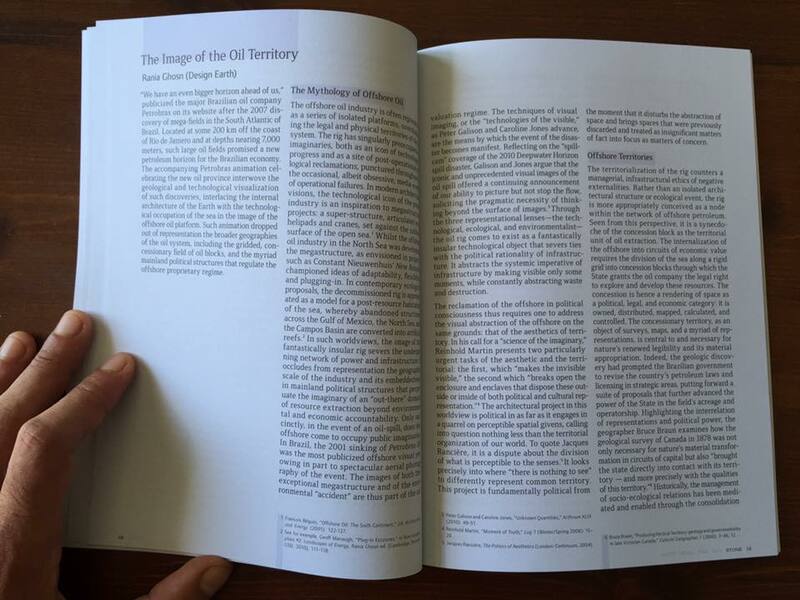 The five-volume publication series took the five “elements” as its point of departure, proposing our current “times of crisis” as an opportunity to re-evaluate and re-design our knowledge systems beyond modern disciplinarity and objectivity. “Elements for a World”, in this sense, refers not only to the material entanglements of knowledges and direct experience, but also the elemental building blocks needed to re-imagine a different world into existence. Going beyond mere “Anthropocene” discourse, the publication series specifically engaged with local, non-Western, and indigenous cosmologies that are parallel to and critical of epistemological Modernity, offering different perspectives on how to “be in the world”. Each author was commissioned to write a new piece, experimentation was urged, and cross-overs between artistic and scientific practice encouraged. Contributors included Marwa Arsanios, Lara Khaldi, Fadi Mansour, Namik Mackic, Forensic Architecture, Adrian Lahoud, Elizabeth Povinelli, amongst many other. A series of conversations accompanied the publication launch in July, held at the Sursock Museum, with private gatherings at marra.tein. For more information, visit the Sursock Museum. FATAMORGANA is an audiovisual project directed by Salomé Lamas and produced by the french based film company Les Film du Bal. The project's development is supported by the Centre National de Arts Plastiques - CNAP in France and for its development in Beirut FATAMORGANA has the additional support of Ashkal Alwan and marra.tein. Salomé Lamas and cinematographer Boris Levy were in Beirut working with local production for casting and location scouting while at marra.tein. FATAMORGANA is a parody at a wax museum/hall of fame where historical figures are given voice in a very ironical way - let it be Bush (father), Bashar al-Assad, Kadhafi, Bill Clinton, Erdogan, Putin, Justin Biber orLady Di. The viewer will be guided by a penelopean-fictional-character that resembles Molly Bloom (Ulysses); the museum scene will be the backbone structure of the work commented by occasional breaks in the style of tableaux-vivant, baroque or choreographed scenes established in key locations in and around Cairo, Beirut and Dubai. How to expand onto the dichotomy- West vs. East? This was Seenaryo’s second residency with marra.tein, delivering an annual showbuild with Yaabad Scout Group, a self-organised group of scouts from Shatila refugee camp in Beirut. With twenty-five teenagers from the group, in August 2016 we created a show called من ورا الموز / All Because of the Banana – a look at what happens in a city when humans start behaving like animals – which premiered at Yaabad School in August 2016. As ever with Seenaryo’s work, the play is devised, written and performed by the participants using improvisation and collaborative theatre-making techniques. Much of the brainstorming, song- and script-writing processes took place at marra.tein, where the team was also resident for the duration of the showbuild. Following our day of professional development with our youth trainees from Yaabad Scout Troupe, the play has been independently re-worked and performed at the Ramallah School in Shatila, with five more performances scheduled in the coming months across Lebanon. "future-proofing: philosophies and technologies of time" looks at literature from the history of science, economic and business history, political theory, media studies, and philosophy in order to examine the myriad ways in which the future is conceived, simulated, "proven", and mobilized by diverse sets of economic, political, artistic, and military practitioners and theorists. although by no means constituting the entirety of the reading and discussion material, a large portion of the literature to be explored—whether anthropological, theoretical, or historical—analyzes the dynamics and ramifications of the global financial system. the participants will collectively discuss articles and book chapters by authors such as peter galison, elie ayache, karin knorr cetina, caitlin zaloom, and fredric jameson, on subjects as diverse as corporate and state “scenarios”, financial markets, preemption and simulation in warfare, fiction and contingency, the histories of statistical and probabilistic thinking, science fiction etc. by looking at specific technologies of prediction and preemption, from imagistic warfare technology and the screenic environments of high frequency trading, to operative mathematical formulas in the financial derivatives market and security risk analysis, we will examine how political and philosophical future/futurist thought informs—in quite material, traceable ways—the economic, aesthetic, and technological systems we navigate. dates: Thursdays, 7-9 pm, starting June 16, 2016.
while in residency at marra.tein, alia farid spent her time working on a film-portrait of the rashid karami international fairgrounds in tripoli designed by brazilian architect oscar niemeyer. the film is a commission by the fundação bienal de são paulo for showcasing as part of the 32nd bienal de são paulo, which is set to open in september 2016. 53 miles north of beirut, in the formerly tripartite city of tripoli, sits an urban park not unlike ibirapuera. comprised of 15 structures, some more complete than others, the park was intended for hosting the world’s fair before construction was interrupted in 1975 by the lebanese civil war. viewers are guided around the park by a female figure who, in mirroring the unfinished oeuvre, never fully comes into character. reoccurring images of the woman’s movements in space are cut with images of people exercising and pruning the gardens (the only maintained aspect of the park). her condition as a hollow vessel is both a symbol of hope and defeat. nothing happens. past and present dissolve, leaving viewers and actors alike stranded, waiting for the future. alia previously visited marra.tein in order to develop work focusing on the connections between latin america and the middle east expressed through architecture / histories of exchange & exile. كنت الأخيرة والمتأخرة. ذات يوم، دعاني أصدقاء في بيروت لاستكن منزلهم فاعود. كمنت عن الانتظار واتيت فورا. في كل صباح، كنت اترقب سماع راديو قريب. كان الراديو يدور، كنت اسمعه لكن الجهاز لم يكن يتكلم. شعرت كما لو كانت ارتبطيته متوعكة فانتظرت يوم آخر بلا أن استمع. قاطعت الاتصال وفتحت غطاء الحاسوب. "آه، ماذا أقول، هل أنت حرجة! !؟”، سألت الإنترنت باهتياج وتردد وانصرفت لقراءة الأنباء المطبوعة. فاز مكب بحري، تعثرت بالاتصال مجدداً وطمر الوطن. هل وصل الإنسان إلى القمر ؟ لا آبه، لأن عندما أموت، سأنتقل لأعيش مع الزبالة. اقرأ عن كيف انتقلت الأمّة الى تحت الأرض حيث الحدود عمودية والبوصلة معطلة، عظيم! لا تبحثوا عن الوقت فهذا المدار شمس مغلّفة والحياة لا تنتهي هناك حتى تختفي الأرض. أحصل على إجابات كثيرة ولكن أبداً ما اريد. وجدت الألعاب الحربية وحيدة لا طعم ولا لون ولا رائحة لها.. ما زالت تحب الأحزاب الأسماء وما زال مراد العسكر أن يكون غفيل الإسم كلما خرج عن الاحتفالية. يا مصمخمطين وأنا مالي. اشاهد المنطقة المخرّمة ولا أرغب بالدخول. يبدو أنها خالية ويومية مثلي أنا. اشتشعر بزمنٍ آخر. كلمات الحث والدلال تدندن بأذني، شذرا مذرا، أنا صوت الآلة. تخلو الأيام عندما تموتين. لكنني لست ميّتة. إنني مسجّلة. اعيد الكلمات نفسها مرارا وتكرارا. إنه أمر بسيط. صوتي معفى من الكلمات الجديدة، لكنني لست بميّتة. اغلبهم يعيش مع هذه المناعة فربما يظنون أنني ما زلت على قيد الحياة. ما هم. اتذكر كيف لم ادر من أين أتاني ذاك الزهو والعنفوان حين حمل لي عتال إنكليزي أمتعتي ووضعها بتأنٍ في سيارة التاكسي، وأعطيته بخشيشاً.. ولكن بحياء..
ماذا؟ خادمها إنكليزي أشقر؟! فأنا لا اعرف الإنكليزي في فلسطين إلا حاكماً، سيداً تُطاع أوامرُه. بإشارة منه يقفون، وبإشارة منه يسجنون. يأكل الخبز الأبيض، ونحن نأكل الأسمر المزرق. يشرب زهرة الشاي بعد الظهر باحتفالية مع الزبدة والمربى، ونحن نشرب عيدان الشاي صباح مساء، مع الزيت والزعتر والقليل اليسير من الجبن..
"لا تكثروا من الجبن يا ستي، فهو يدوّد المعدة، أما الزعتر فيجلو العقل.."
كلام الجدة غير قابل للنقض، فهي العلامة الفهامة ولا أحد يجرؤ على نقاشها. ورغم أمّيتها، تختزن كنزاً من الأمثال والأقوال والأفعال لكل الحالات: في الحالة الاقتصادية، هي مقنعة للإقلال من الجبن واللحوم والدهن للتوفير والتدبير. وصارت القناعة عادة عند بعض الأحفاد، فما زلت وقد أصبحت أنا جدة، افضّل الخبز الكثير والجبن القليل. في الحالة الصحية، لا بد من شربة زيت الخروع الشهرية لتنظيف الجهاز الهضمي وإبقاء آلات الهضم على لياقتها، وحين يحتج أحد الأحفاد على بشاعة طعم الخروع وصعوبة بلعه، تنزل الكفوف على الجميع بالتساوي، ربما استبقت هذه الجدة عصرها وعملت ما يعمله الحكم في أميركا الآن من تهذيب المحتجين ومن يمكن أن يحتجوا يوما ما، بالتجويع والتخويف إن أمكن، وإلا فبالضرب. في الحالة الاجتماعية، على الزوجة أن تبذل كل جهد للحفاظ على وضعها ولا محل لمشاعرها. فمن أقوالها المرددة: "لقمة الجوز مجمّرة، ما بتاكلها إلا كل مشمّرة". ربما سكن هذا القول في لاوعي نبيلة حين تخلّت عن عملها الإعلامي في بيروت وحملت طفلتها إلى جدة للالتحاق بأمين في عمله الإعلامي هناك. كتبت له وأنا استعد للسفر، "أتوق لقضاء الوقت معك على ضفاف البحر الأحمر"..
ولم اكن ادري ما الذي ينتظرني على ضفاف البحر الأحمر. وحدة، وحر، وتهميش لمن هي، أنا. هو في الخارج كل النهار ومعظم الليل، الشقة بعيدة ولا تكييف فيها والحرارة خمسون، وهي.. هي بلا صوت ولا فعل، ممنوع أن تعمل فصوتها عورة.. ممنوع أن تخرج من البيت إلا برفقة رجل.. حتى المعرفة كبّلتها الممنوعات، فحين سمعت إذاعة لندن تذيع نبأ زيارة الملك حسين المرتقبة إلى المملكة العربية السعودية، سألت أمين لدى عودته: متى يصل الملك؟ واستغرب سؤالي وقال، "كيف عرفت؟ مفروض ألا يعلن عن الزيارة".. "وهل تظن أن تعتيمكم على الأحداث يلغيها؟ أذاعت الخبر إذاعة لندن في نشرتها المسائية، ولم تشر إطلاقا إلى سريته". ومضت الأيام والأسابيع قاحلة كصحراء، إلى أن زارتني ذات يوم جارة تخبرني أن معلّمتها في القدس فتحت مدرسة سرّية مخالفة القانون، وأنها عرفت بوجودي في جدة، وتعرض علي أن اعلّم ساعتين في اليوم. أغراني العرض لحاجتي للكلام، لسماع صوتي وقد غاب عن أذني زمناً طويلا. اتفقت مع أمين أن يؤمّن نقلي من وإلى المدرسة (بيت المعلّمة المقدسيّة) وصرفت ساعات التعليم بفرح، البنات يعرفن مبادئ القراءة والكتابة، فلتغتنمني فرصة لتوسيع مداركهن العقلية، وبناء الثقة في نفوسهن، وتعريفهن بقيمة بلادهن وثرواتها. في آخر الفصل، طرحت السؤال إياه: "من أين تأتي ثروة البلاد؟" وأتاني الجواب مكررا، "من الملك يا أبله". الرحمة.. قلتها في سري وانصرفت إلى بيتي حيث الاتصال الوحيد مع العالم هو الراديو. اجلس على الكرسي واسمع، ومع مرور الأيام والليالي صارت هي الكرسي. الكرسي مهم، لولا وجوده لظللت العمر واقفة أو على الأرض.. فلاكتب قصيدة عن أهميتي ككرسي في بلاد الرجال ولارسلها إلى مجلة أدبية في بيروت. لا، فليرسلها أمين، فهو وحده المخوّل بالحركة والفعل. إرضاء لها، أرسلها رغم تحسّبه لعواقب نشرها. تحسّبه وتحسّب المجلة التقيا، حملت رسالة الرد اعتذاراً عن نشرها لحساسية الموضوع. ماذا اعمل؟ لا يمكن الاستمرار في هذا الفراغ. وأتاني الحل مفاجئاً حين قررت مديرية البرامج في الإذاعة استحداث برنامج للمرأة. اقترحت على المدير (الأستاذ أمين، زوجها) أن اكون أنا المسؤولة عن برنامج المرأة، "تعرفين أن لا مجال للمرأة في الإذاعة"، قال المدير. "ماذا لو كتبت النص، وقدّمه رجل؟" قلت طالبة العمل. هجرة؟! بل هي اقتلاع. فكما اقتلعت من القدس في مطلع حياتي وظلت سنوات اطلب شرعية لوجودي، اقتلعت من بيروت في عز حياتي وظلت سنوات اطلب شرعية لوجودي. وبرغم أن الشعب الأميركي يتكون من المهاجرين، إلا أن عملية التجنيس معقدة ولا تتم إلا بملء مئات الأوراق والشهادات والتحايل القانوني الذي يتقنه محامو الهجرة. "وتحمل رسالتي، يا ابن الشعر والصدق، رجاء بأن تسهل مهمة محامي، وتزوده بشهادة منك عن موكلته التي ما زالت تبحث عن شرعية لها في أميركا. وكنت أحب أن نلتقي مع الشاعرة القادمة من وطن القلب، لعلها بعد عودتها من بوسطن تجمعنا كلنا. أشتاق لذلك، فمن زمان لم نضع قلوبنا على الطاولة. أشكرك كثيرا على تجاوبك، ولك كل الحب. نبيلة". Every time I leave the house, I will give my phone number to everyone I meet on the streets and then leave again. This is how I met George in DC and Jared reached out because they somehow both knew from the start that I always leave twice. I can’t be the last person who stayed in your room, nor can I be the same voice speaking. وفي يومٍ ما زنّت كلمة العيش في رأسي كالصاروخ. إذن، فمشكلة العيش ليست حكراً علي، يبدو أنها مشكلة عامة. وفي لحظة أحسست أنني أخرج من قوقعتي الذاتية واواجه الحياة بنظرة فيها شمولية أوسع..
Seenaryo is a participatory theatre and arts organization founded in 2015 that works with young Syrian and Palestinian refugees in Lebanon. We do this by initiating arts education and cultural projects in partnership with grassroots groups. Each summer, Seenaryo creates a full ‘showbuild’ with a group of children from the Yaabad Scout Troupe in Shatila. Starting from scratch, over 5 full days the participants build a full-length piece of original theatre, including characters, scenes, songs with original lyrics, dance and set, with all content created by the participants. The showbuild culminates in an hour-long performance in Shatila followed by a tour around different venues in Lebanon. We also work with a small group of trainees throughout the project, who support and shadow the process and take part in a teacher training workshop. The Seenaryo team stays at marra.tein and uses the residency space as our headquarters throughout the showbuild. In partnership with the Syrian organization Women Now, we also create a second showbuild with a group of young Syrian refugees living in the Bekaa Valley. The showbuilds are one of 5 strands in Seenaryo’s programming, which also includes a long-term mentorship and production programme for emerging artists in the Bekaa Valley led by Dictaphone Group; ongoing weekly workshops; cultural trips to Lebanon’s arts institutions; and a teacher training programme for applying creative tools in schools. We believe in the value of independent theatre and artistic production in providing a space for autonomy and empowerment, sowing a political seed, and developing leadership and resilience. Plans are underway for the 2016 summer iteration. Ashkan Sepahvand hosted his ongoing project "the technosexual reading circle" in the form of a 10-week seminar at marra.tein. The sessions were open to the public and accompanied by a Facebook group page where additional materials and media could be exchanged between participants. Condensing the variety of topics and themes the reading circle has covered in its past two years in Berlin, the goal of this Beirut iteration was to provide an introduction to "technosexuality", that is, the ways in which biopolitical capitalism effects the perceptions we have of our sexualities, bodies, and social relations. Imaging Violence is a curatorial research project that asks: can we develop both a language and means of representation to describe violence in a more complex way? What is the distinction between the representations of political violence and those of non-political forms of violence? Imagining Violence is rooted in an underlying assumption that art has the potential to re-frame our understanding both of public manifestations of violence and of intimate or structural forms and thus to provide conceptual tools and information to assess its legitimizing or de-legitimizing narratives. This project comes out of my doctoral research on the Algerian War of Independence. This on-going academic work focuses on representations of revolutionary violence in Algerian national cinema between 1965 and 1979 and raised questions about how contemporary artworks grapple with the same problems—not only in Algeria or in the Arab cultural landscape more broadly, but also in the effect these cultural scenes have on hegemonic debates about representation. My research residency at Marra Tein in the summer of 2015 was focused mostly on studio visits. I had initially planned to do a call and response—to screen a series of videos from the context in New York where I was based, followed by a conversation with people based in Beirut. But in my first few days in Beirut I realized that the representations of violence I found the most urgent were focused on the disappearance of the City by aggressive development, while the video work I had proposed to screen was more centered on the body. The difference is significant. This research developed into three significant short-term projects: an undergraduate course on post-war art and politics in Beirut at the New School in New York for the spring term, a text pending publication, “Absent Beirut,” and an exhibition of contemporary artwork on the disappearance of New York and Beirut at the Aronson Gallery scheduled for September 2016. Natasha Marie Llorens is a writer and independent curator based in Marseille and New York. Currently, she is focused on two long-term research project, one of violence and representation and the other on contemporary painting. 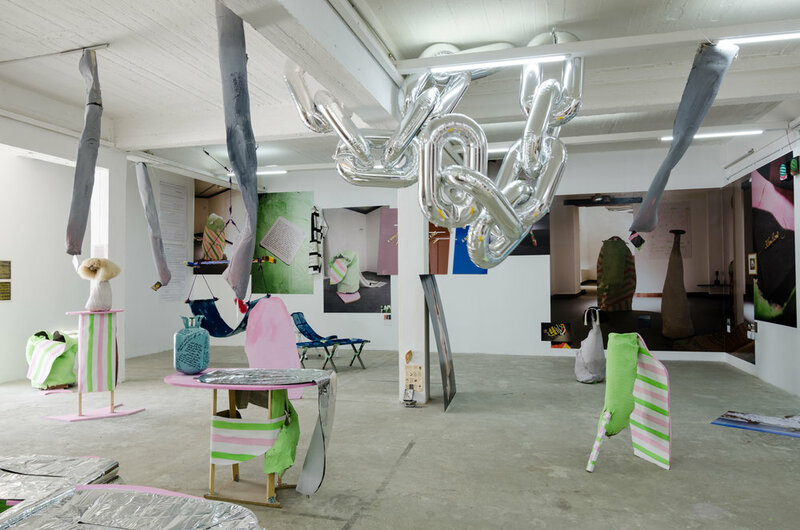 Recent projects include, “The Phallus and the Word,” for Contemporary Art Stavanger, Frames of War at Momenta Art in Brooklyn, Syntagma at the Skybridge Art Space at Eugene Lang in Manhattan, and vois-tu pas…que je brûle? (do you not see…) at the Essex Street Market, produced in collaboration with the Artists Alliance. Llorens is a graduate of the Center for Curatorial Studies at Bard College and a Ph.D. candidate in art history at Columbia University. Maskan Apartment Project is a curatorial project initiated and organized by Mirna Bamieh. The project purpose to turn the domestic spaces of "an apartment" into laboratories for artistic production and research. Maskan takes the flat’s various rooms – Kitchen, Salon and Library, Balcony and Toilet – and turns them over to artists who are invited by the project to create and reproduce previous site-specific interventions, complemented by curated film and video screenings, performances, talks and discussions. Some contributors were: Franziska Pierwoss, Sandra Teitge, Alison Damick, Eliza Deutsch, Merve Unsal, and the Dictaphone Group - screenings from Digital Marrakech, Khaled Jarrar, and DEC·A·LAGE were also included. After Beirut, Maskan intends to be staged in Amman, Tunis, Cairo and Ramallah.